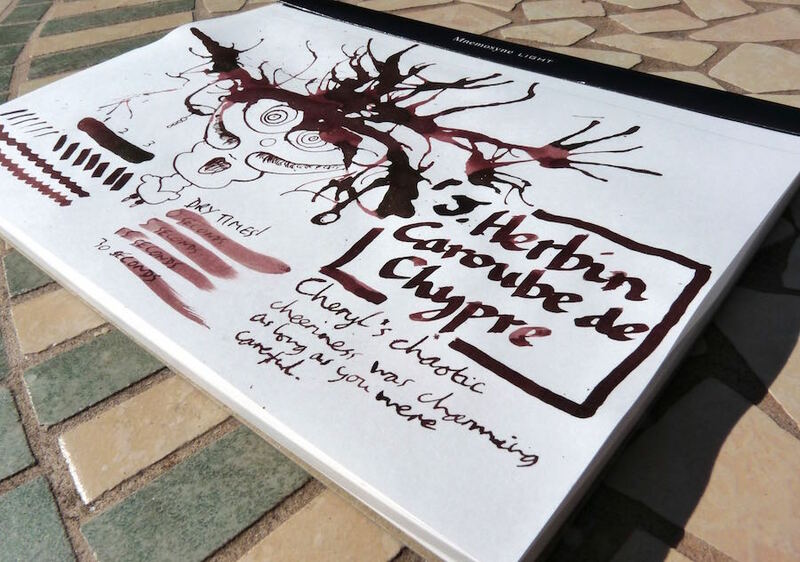 J. Herbin Caroube de Chypre Ink Review – Pens! Paper! Pencils! 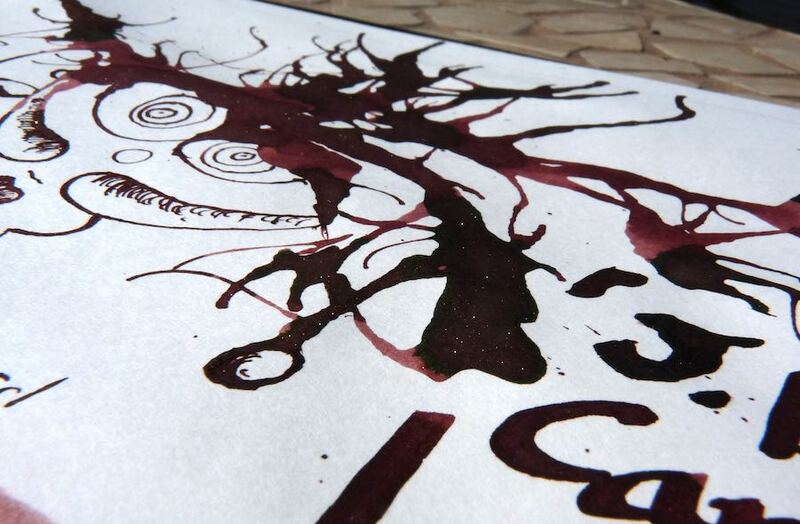 This year’s sparkly J. Herbin ink is Caroube de Chypre, a chocolatey brown with gold sparkles. It’s too dark for me and the sparkles only really work with a dip pen or a very broad wet nib (or a straw!). I was playing around with a dip pen and doing a very bad job of it so don’t read too much into the dry times. It’s not that slow to dry. 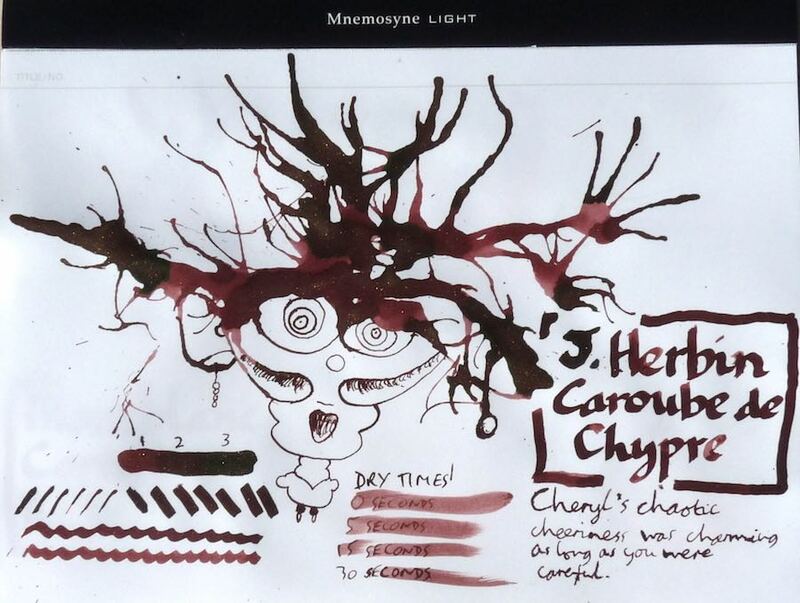 You can find some more reviews of J. Herbin Caroube de Chypre on Pennaquod. Many thanks to Pure Pens for sending me this sample. Pure Pens do a great ink sample service.